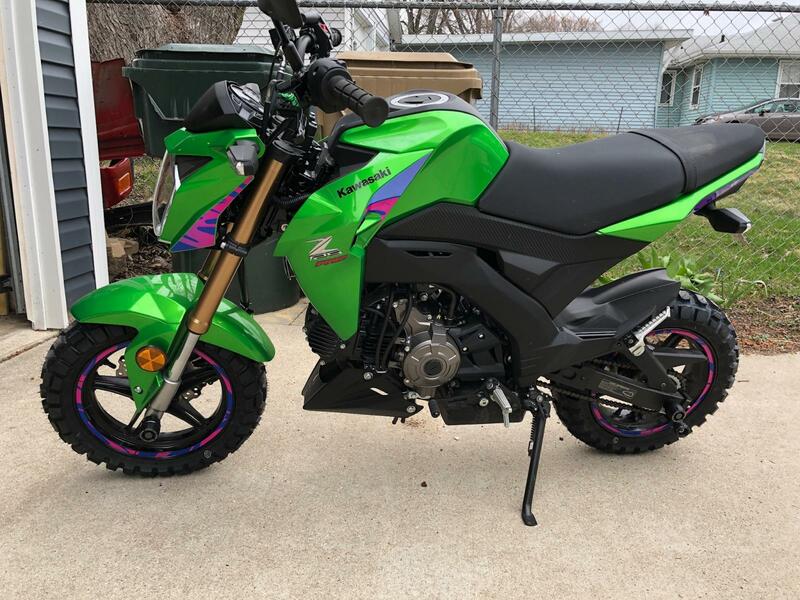 Kawasaki Z125 Forum > 2016+ Kawasaki Z125 Tech Section > Tires, Wheels, and Suspension > NEW! 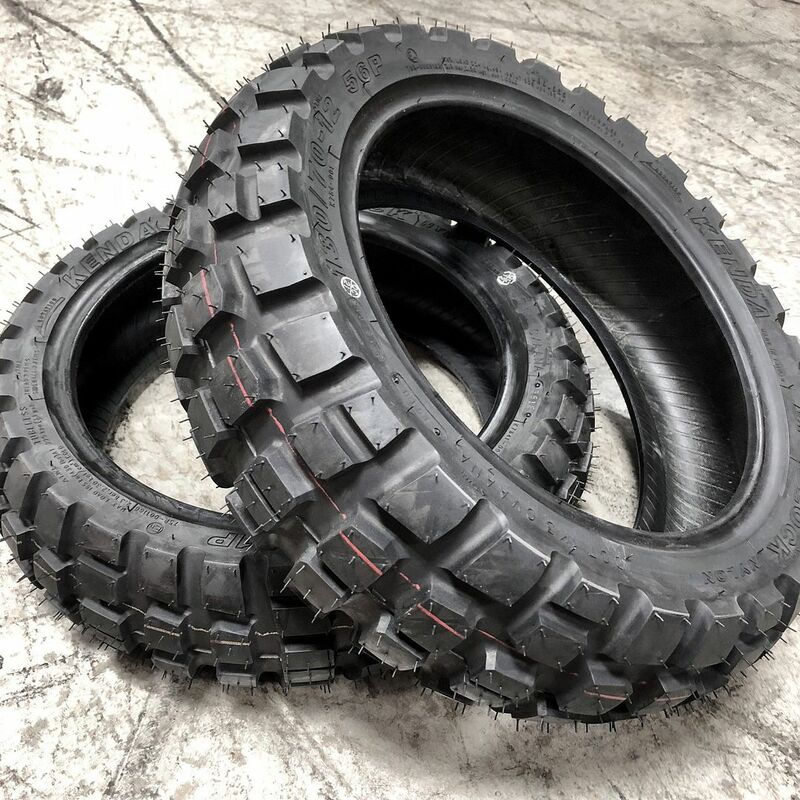 Kenda Big Block tires! Kawasaki Brad, redbank, Kaw'ee and 2 others like this. Waiting patiently for the review. Whoa! Those are going to look tough! I'm guessing we don't want to know how much they weigh? It hardly matters, if you need the grip you need the grip. My Kenda K761's are not showing any wear yet so it might be a while. Just had mine mounted today, flurries off an on so only once around the block. Seems like they fight me a little bit in slow turns but once I get moving I don't notice much difference on the road. I'm a little more timid leaning, but I don't think I ever get near the limits anyway. Have to get them offroad soon. MindThreat, redbank, delta and 2 others like this. Those look tough mounted! I really dig the pink/purple accents on your bike as well Kev.